We’re delighted to announce that Eric Chaline has won the Lord Aberdare Prize 2018 for Strokes of Genius: A History of Swimming. The winner was selected by a judging panel and announced at the Society’s annual conference in September 2018. Eric Chaline will present a paper at the next conference of the BSSH to be held in Liverpool in September 2019. In Strokes of Genius Eric Chaline celebrates the physicality, importance and evolution of swimming from prehistory to the present day. 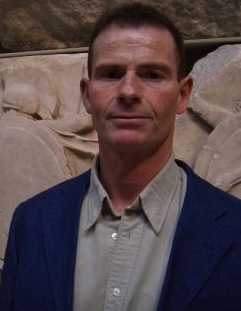 He decodes the earliest human myths to reconstruct swimming’s prehistory and history, explaining its role in religious rituals, trade and manufacture, warfare and medicine, and chronicling its transformation into the leisure activity and competitive sport that together have made it the most commonly practiced physical pastime in the developed world. The British Society of Sports History promotes the study of the history of sport. Their work includes the encouragement of research, support for the preservation of the sporting record, promotion of the study of the history of sport in education, and engagement with the broader public media.